What makes dozens of Chechen families take a commuter train from Brest to Terespol in the morning in hope to cross the Belarusian – Polish border? Why do these people flee their homeland. What makes them leave their well-established way of life, their motherland, and their friends? What do they hope for? What do they dream about? Most importantly, can we help them in any way? We are students of Fortinbras theatrical laboratory. We have come to Brest in the framework of a journalist experiment and decided to answer these questions for ourselves. The way towards our destination ran along an old Roman Catholic cemetary with some tombs dating back to the 19th century. Having passed the burial place, we faced a problem with finding the necessary house, since the numeration of houses was bizzare. A couple of minutes later, we reached our goal. The wodden house was green-coloured. However, obviously, it hadn’t been painted for several decades. We expected to find a high quality building there. However, in reality we saw a mediocre house of Red Cross branch in Brest over there. It was this building, where ‘Human Constanta’ human rigths organization arranged distribution of humanitarian aid to the Chechen asylum-seekers. 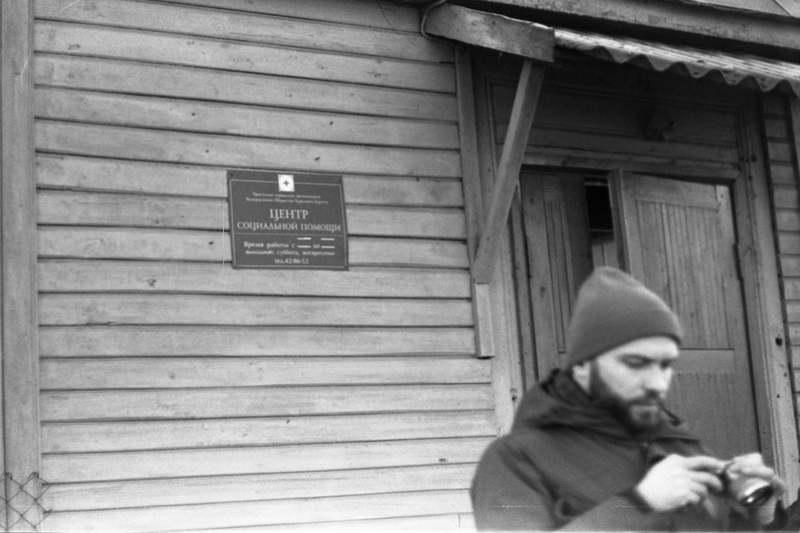 A young volunteer Grisha worked in the premises. He was helped by two caring friends. The room was small. Only one family had enough space to stay there at the strictly appointed time. There was little place. Therefore, only two journalists could stay inside. All the rest had to remain on the porch. It was chilly in the street. Therefore, the people had to go inside from time to time, in order to warm up. Grisha asked the people, entering the premises, to shut the door, since there was no central heating in the premises, and the warmth came only from a small electric heater. The clothing was hanging on the racks. The footware was standing on the floor. Stardard product sets could be found in bags nearby, including spaghetti. rice, sunflower oil, and cereals. Other packages contained pills for adults and children, pain killers, and hygiene items. A family of four peple entered the room – a man, a woman, and two children. They weren’t shy and didn’t disdain. They took everything that could be handy and asked the sales assistants about the necessary things, including sweaters, hats, and parkas. We need pampers No.5. Do you have some? – a women addressed to us. Search for them in the boxes, – Grisha replied. They looked confused and sorted out the things. Aparently, they felt ill at ease, too. – Let me help you, – a volunteer intervened. What things do you need? – Coats for children, tights, – answered Zarema in silence. And we need pampers, too. 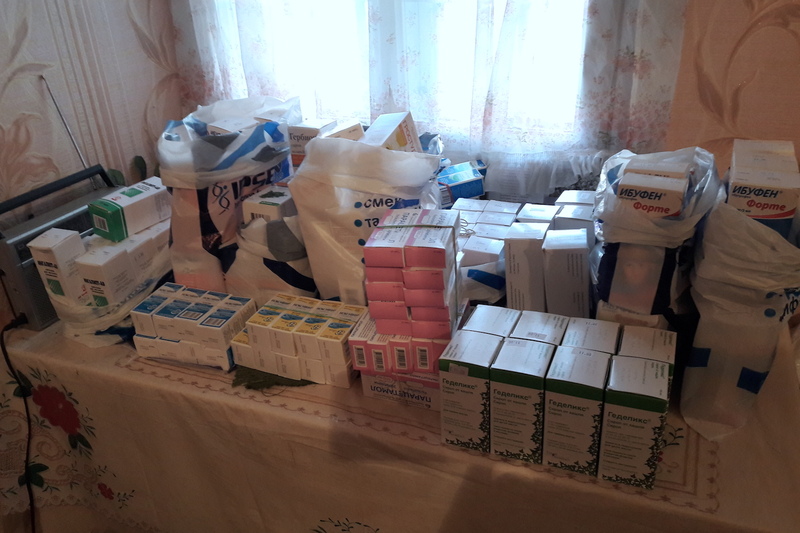 The Chechen women chose the necessary things, took some products and medicines and said ‘good bye’. – Can we talk to you? – we tried to start our talk. It was complicated to start our communication, since we didn’t know if it could be done without men, who usually accompany them. Luckily, the absence of men didn’t create a barrier in our communication. ‘My husband hasn’t got in touch with me. And it is for good not to get in touch. My mother phoned me. And my husband’s relatives learned that I was here. They wanted to come and take the children with them…’. A young man in a black down jacket and a woman in a natural red fur coat came into the premises. The woma had dyed hair, no headscarf. The couple quickly examined the things. Apparently, they didn’t like the clothing and the footwear. Grisha noted that new supplies of humanitarian aid wouldn’t arrive in near future and that the frost might become harder. The couple didn’t agree to talk to us. Mohammed and Zakia were the following customers. They had a month in Brest. While the man had a friendly talk with Grisha, the woman was choosing clothing for a child. Grisha proposed the coats. – Let’s take another one, – Mohammed said. – I’ve been wearing mine for a month already. He told us about an unlucky attempt to cross the border with a ‘guide’s’ assistance. ‘She ripped off 500 conventional units from me. Also, some Sasha works there at the railway station. He wears a blue overcoat. He was caught by people two days ago. He is her aide. Being a shameless and disgraceful person, he still walks at the railway station, proposing attorney’s services’. Mohammed and Zakia agreed to be interviewed. They were telling a lot about their problem, being detailed and emotional. During the talk we felt that they trusted in us. We saw grievance and hope for a good outcome in their eyes, since there was no way back for them. Prosecution, tortures and, most probably, death was waiting for them in Chechnya. We got acquainted with two Chechen women – Sumaya and Jasmin. They had spent five days in Brest and made three attempts to cross the border. – Why have you fled Chechnya? They were not in the mood for our dialogue. On the contrary, they expressed their concern about video recording and photo shooting. Grisha continued to distribute the humanitarian aid, checking the list. Communication with him took place in a friendly atmosphere. He provided the visitors with the necessary advice, e.g. on how to fill in a claim for the refugee status. The document is needed for including the people into the list of asylum-seekers for provision of assistance to them in the future. The visitors took willingly products and medicines. 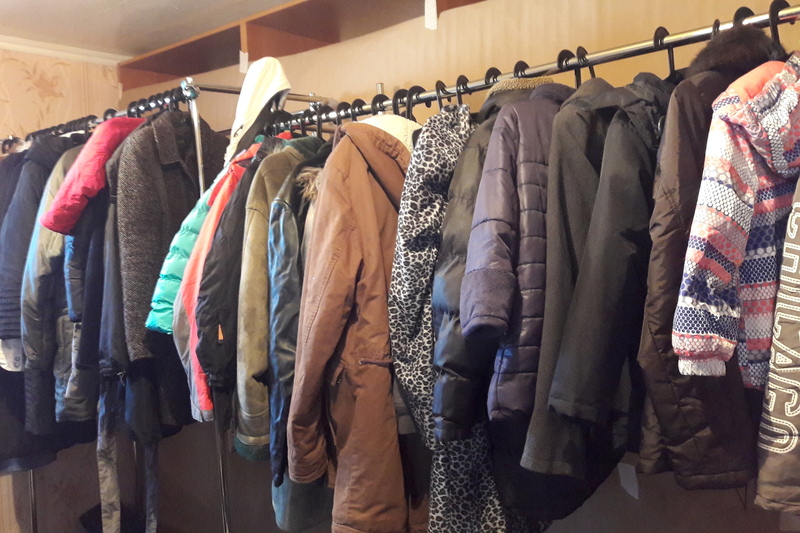 However, they had different attitude towards the second-hand clothing. Some people came to the place by taxi. Others arrived on foot. Men were generally more talkative. Most women simply took the humanitarian aid without saying a word. Each family hoped to have a successful attempt to cross the border and appear in Poland on the following day. Therefore, they tried to avoid taking a lot of things. It was complicated to start a talk with the Chechen people, subject to the feeling of different mentality and the existing stereotype of ‘a dangerous Caucasian guy’. However, as soon as you asked the first simple question, you saw a person with huge grievance, loss, and danger for his/her life and the lives of relatives standing in front of you. You saw a person, who hoped to find peace and security. It was obvious that the longer the asylum-seekers were staying in Brest, the better they opened for a dialogue and sharing their storiea in hope for help and support. We agreed to have an interview with a family, who had spent almost three months in Brest, in the evening. Shamil and his elderly father Muslim met us at the entrance to a block of flats and led us to their apartment. There was deem light in the rooms, few things. Everything was collected for tomorrow’s attempt to cross the border. 5-6 people were there in each room. Only men talked to us. They were interrupting each other. Each of them wanted to share a story with us and get some help from us. The Chechen people were thankful for any support but hoped for getting assistance in solving their main problems. We said good bye. Another Chechen family was waiting for us at the entrance. They asked to listen to their story, too. We agreed to meet on the following day. We met the Sharenda family in a café on a pedestrian street. Andrus and Palina had been dealing with civil activism in Brest for many years. – This problem has to be solved. The Poles and Belarusians have become scapegoats. Why is there such a situation with humanitarian aid. They mostly don’t need the things, apart from pampers, – Andrus said. – They are not poor people, – Palina added . – When they come to Brest, they have several thousand dollars each. Our talk was interrupted by Palina’s and Andrus’ son Stakh from time to time, who didn’t want to sit still. – I’m embarassed that the problem has existed for ages, and that they are trying to solve it only now. You should go to Poland to see how dismissively the Poles treat them, – Andrus caught his son and put him on his knees, then continued to talk in a calm voice. – Just have a look, what European states more willingly accept refugees, Germany, for instance, – Palina noted more emotionally in comparison with her husband. – These are the countries, which have never have faced Islamic agreession. Our countries – Poland and Belarus – have historic experience of fight against Islam. The Turks, the Tartars came here, and what did they do here in the past?… Germany, France, Scandinavia have learned only the outer glamour of Islam, such as the dancers, the architecture… They don’t have it in their historic memory that they slaughtered people and drove them into slavery. They have come across all this only now. And we have it in our memory. The asylum-seekers from Chechnya, Ingushetia, and Dagestan came to the Red Cross premises during the second day of humanitarian aid distribution. We met Aisha with her son next to the place. They were dressed poorly and out of season. There’s a feeling that they put on the first thing that came to hand. Zukhra was the next, who agreed to talk. She came with her husband and three small children to Brest from Ingushetia. She didn’t speak Russian well. Before saying something, it took her long time to pick the proper words. Her husband didn’t speak Russian at all. Zukhra failed to explained what kind of oppression they had faced and why they didn’t take the supportive documentation with them. An elderly woman entere the Red Cross premises. She brought her coat as a donation. The distribution of humanitarian aid is over. We go to the ‘Pryvakzalny’ hostel close to the railway station, where a part of asylum-seekers is accommodated. One of the hostel guests, Hassan, was easy to contact. We didn’t manage to meet the family, whose head had expressed a desire to tell us about their problems. On the eve of the scheduled meeting, he asked us if we could help his family to cross the border. As soon as we told him that we couldn’t be of any help in this issue, our talk was over. ‘Just imagine, how hard it is for the children, who grow up in such conditions. They even don’t have a chance to get some kind of education. 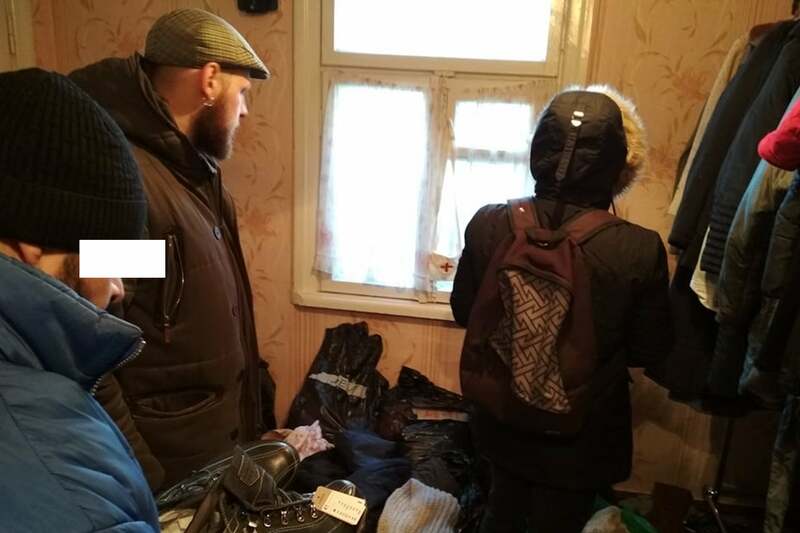 The only thing they see is endleess trips and the rented room as well as another family in a similar situation in the next room’, a Human Constanta coordinator of Brest mission Grigory Terentyev emotionally noted. It could be seen that the young guy was deeply engaged in the topic and really empathized with the people in Brest. In order to learn how the local governmental authorities react on the arrival of asylum-seekers to Brest and if the forced migrants are provided with legal support, we addressed for information to the local Department on Citizenship and Migration. Their representative agreed to have a talk with us on condition of anonymity. The talk appeared to be formal. Even before the trip to Brest we wondered how it could happen that the long-lasting problem with the asylum-seekers from the Caucusus in the border city hardly evoked any kind of reflection in the field of culture and art. We met a smiling Sveta, who is an actress and the CEO of ‘Kryly khalopa’ (‘The Slave’s Wings’) theatre and art space. Alina was waiting for us in the ‘Paragraph’ café, which is a popular mingling place in Brest. There were hardly any vacant places to be found inside over there. We directed him to Grisha, a Human Constanta volunteer. The train from Terespol arrived at 11.57 a.m. Scanning the hall, we noticed the asylum-seekers, who hadn’t made an attempt to cross the border on that day. The inner tension was felt, since everyone expected good news and hoped that the Polish border guards had been hospitable on that day. Our acquaintances started appearing from the customs control area. Despite having failed to cross the border, Mohammed with his wife and an a child smiled at us, greeted us, and told us that only one family of five people had been allowed to enter Poland. Then we noticed Shamil with his big family. Shamil’s father was smiling sadly and shrugging his shoulders. That was another failure for them. We wish them to have a successful attempt for sure the following time, since they had already ceased to be impersonal asylum-seekers for us.